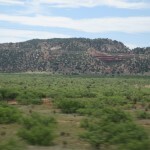 We had a wonderful visit in the Santa Fe area. 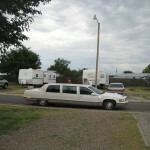 The RV park was very enjoyable. This park was quiet and peaceful. The travelers were very friendly. We enjoyed talking with them. One man talking with Greg this morning said “can you believe we are fortunate enough to do this?” Meaning traveling where you want, when you want. We are indeed fortunate. Our discussions with our new friends generally go like this “where are you going?” and “where have you been?”. Camped next to us was a nice couple from Louisiana. He had a tag on the RV which said “Louisiana Cajuns”. Yes indeed. We had an easy drive to Amarillo. We passed into central time zone when we crossed over into Texas. The interesting thing about our visit here was our dinner location. Near our park there is a restaurant called the Big Texan Steak House. It has been featured on the food network channel and in Europe as well. The restaurant is huge. It is decorated in the western theme and everything is BIG. I did not take my camera to the restaurant which I’m sorry for. I would have taken some photos of the inside. At any rate this restaurant is famous for offering a customer a free steak if he can eat a 72 ounce steak in one sitting. There is a photo wall which shows the folks who have done this, and believe it or not, there are more than a few. The restaurant advertises that they will pick you up in a limo and take you there and back (from your RV site) free of charge. The lady who checked us in at our park called and made a reservation for us to be picked up at 5:30 p.m. Right on time, the limo pulled up and the driver got out and opened the doors for us. The driver took us to the restaurant where we enjoyed a very good steak with all the trimmings. 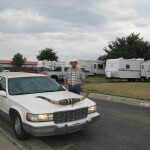 Before you get the wrong idea about the limo, it was about 30 years old and has a huge set of horns on the front grill. Just take a close look at the photo. After our dinner, we waited on the front porch of the restaurant a few minutes and the limo pulled up and we got in for the short drive back to the park. 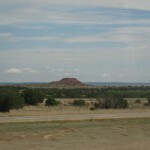 It was a lot of fun and the driver was very informative about the area and Amarillo in general. 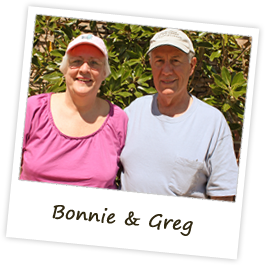 The restaurant started back in the 1930’s and has been continuously run by one family every since. There are nine limos that are driving all around the area bringing patrons to the restaurant. Tomorrow we are off in the morning, driving toward home. We will spend tomorrow night in El Reno, Oklahoma.